If you're wondering why you should hire Moving Service for moving to Childs Hill, NW2 then first of all you should call 020 8746 4402 and hear what a great price we can give you. Of course, price isn't everything but it will give you an idea of just why we're considered such a great value company. Yet, it's perhaps our reliability we would want to draw your attention to first. We make sure the most important aspects of your house removals are there in place first. So we turn up on time first of all. We have the right transport for you and a number of removal men. Everything will start being worked out from the moment you hire us. We work with you in order to be the removal firm in NW2 that you want us to be. Why Should You Choose Our Childs Hill Moving Company? We combine a low price with a professional service carried out by fully trained man with van team. We cater for every type of relocation throughout the UK and mainland Europe. For removals to Childs Hill, NW2 we're committed to giving you complete satisfaction and our logistics expertise is reflected in a moving day that's so much less stressful than you expect. In effect, we give you a made-to-measure moving service that takes into account your particular circumstances and makes sure you have everything you need without having more than you need. That way you pay a lower price for your relocation to NW2 and still benefit from a company that has years of experience. We can begin by impressing you by giving you an impressive free estimate. Call 020 8746 4402 and receive yours now. We're movers in Childs Hill, NW2 who firmly believe in being as environmentally friendly as possible. That's reflected in our day-to-day working practices as well as our broader mission to be as green as we can be. It's recycling what we can when we have, say, a house clearance to carry out. It's always using products that are non-toxic and good for the environment. It's always being aware that if we can do something better in regards to green considerations, we will. We're known as respected, professional relocation services and a big part of that for us is being professional in every area of our business. So if you, like us, care for the world around you and want to hire a moving firm which shows that, contact us now. 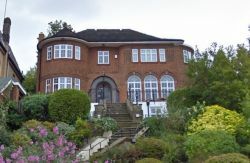 Childs Hill is an area in North London just south of Golders Green and is also part of Finchley. It's thought the area's name comes from a former resident, possibly Richard Hill who lived in the area during the 13th century. The area nowadays centres around the junction of Finchley Road and Cricklewood Lane. An area which is relatively densely populated, Childs Hill has a variety of housing, though mostly Victorian terraces with detached properties more prevalent around the Horcroft Estate in the south part of the district. Finchley Road, completed back in 1829, is still the main thoroughfare in the area today. Green spaces include Childs Hill Park, Golders Hill Park and Basing Hill Park. Childs Hill is in the London Borough of Barnet. Moving Service always ensures customers receive quality removal services. For us, this means guaranteeing all our clients are aware of just how much they're valued. It's looking after every detail of a move. It's understanding that each move, although we have carried out thousands, is such an important event in people's lives. As a moving company that cares, we understand how stressful a move to NW2 can be and likewise, try to minimise that stress whenever we can. Knowing you have hired a removal company that knows what it is doing can go a long way to giving you better removals to Childs Hill. It's all part of the quality service we give and one we are proud to be able to offer you. Act now and call us on 020 8746 4402.